Love is in the… ground? 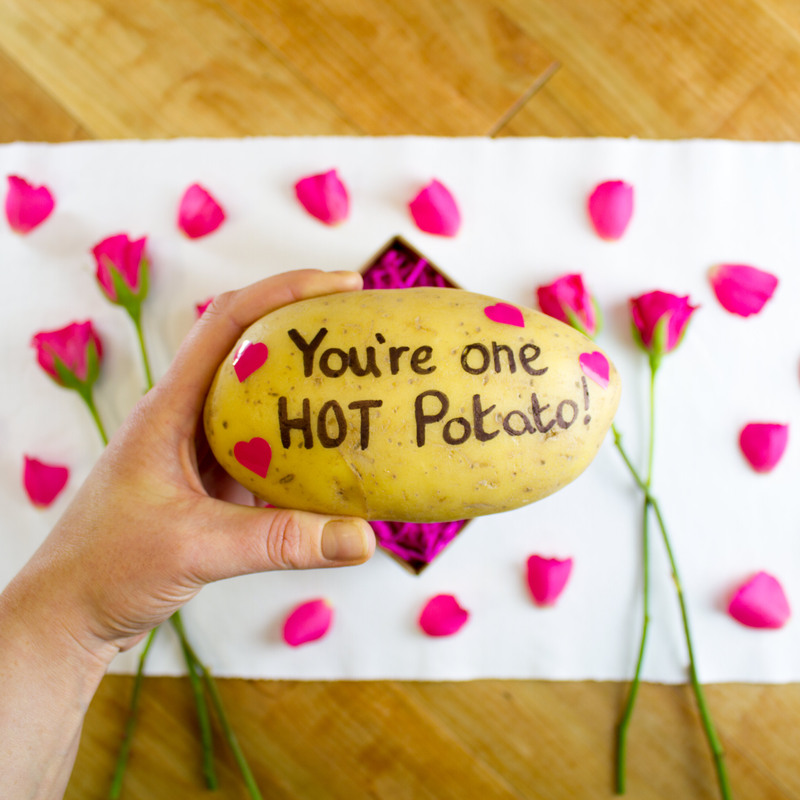 Mash Direct has found a more romantic use for their vegetables this Valentine’s Day by sending out personalised messages on potatoes. The family run farm based in Comber, Northern Ireland, are so proud of their award-winning potatoes they have hand-picked a selection of spuds from their fields to be sent out to people as a Valentine’s gift. Helping those of us who struggle to find a Valentine’s gift, Mash Direct have asked for their consumers to send in their own personal messages to send to their Valentine. Mash Direct will select their top ten favourite messages, hand-write these onto potatoes and send them in a gift box to the consumers valentine along with a Mash Direct hamper and bottle of bubbly. Clare Forster, Head of Marketing, comments “Our vegetables have won a lot of awards recently and so we wanted to share the love that we have for our products with the rest of the world. At Mash Direct we specialise in making convenient and delicious vegetable side dishes. They are ready in just a few minutes which means that our customers can spend more time with their loved one this Valentine’s Day.”. The gift box also contains a poem entitled, #SpudLove, the companies own humorous homage to romantic literature highlighting the convenience and nutritional benefits of using their products as part of a Valentine’s meal. You can enter Mash Direct’s Valentine’s competition #SpudLove by visiting the companies Facebook, Twitter and Instagram pages @mashdirect.